Asymmetrical thongs provides more comfortable positioning of your feet. Burnt surface of paulownia wood provides characteristic texture which is comfortable to touch. 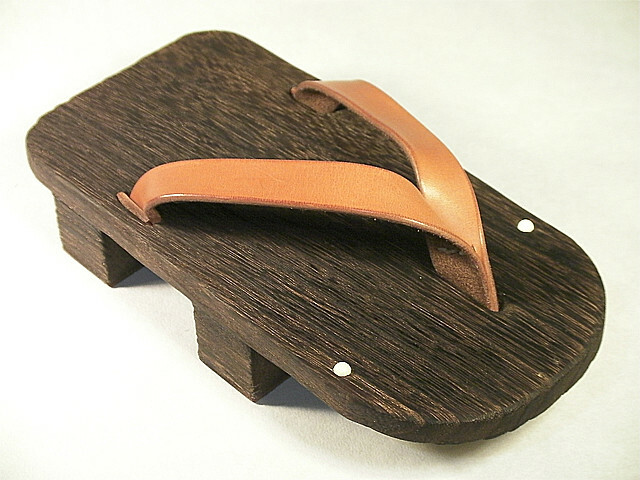 Rare flat saddle leather thongs last longer than most typical geta thongs. The saddle leather will take some time to fit your feet better in months. 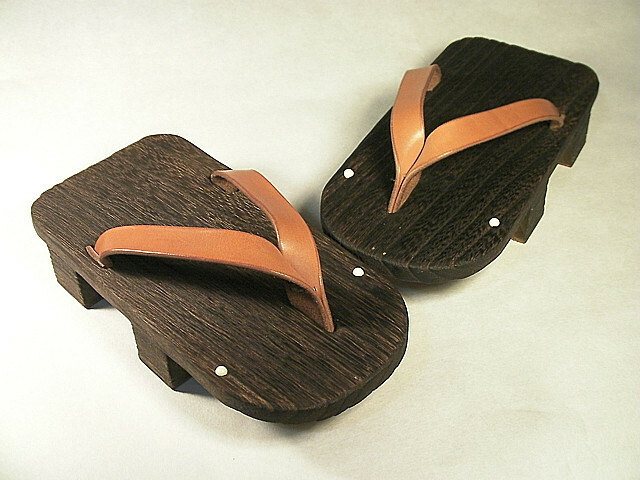 The leather sole is also rare for getas. 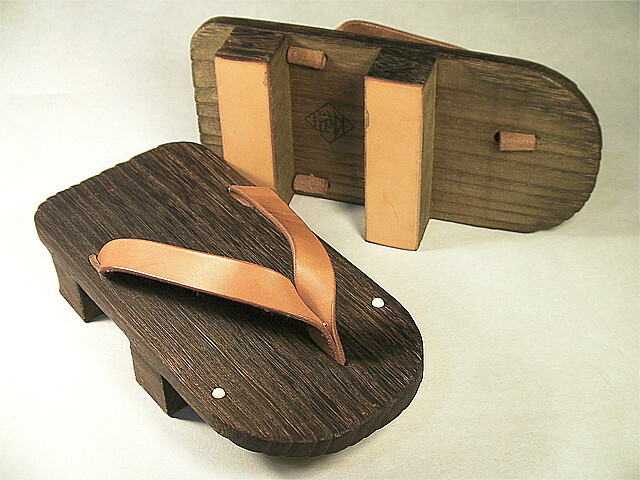 It protects the wooden sole from cracking and makes it last longer. Their eyes grow in the dark, so you can find them in the dark. (They do not do that in real life.) Their eye sight is known weak. It is more like riding rather than wearing. Enjoy the ride! Giant salamanders are the largest living amphibians known today. Japanese giant salamanders are believed to be the second largest in salamander family. They are protected by law in Japan from hunting, capturing, or even touching. How amazing you can ride on it! They love Double Fortune Wind-bell.